The automotive industry is BIG on TV advertising. Big brands and small local dealerships spend a lot of money on TV ads. Big brands and small dealerships WASTE A TON OF MONEY on TV ads. Visual storytelling sells cars. Big auto brands tell complex, emotional stories, designed to convince their target audience that buying a Ford, Toyota, or BMW is who they are. Take a look at these Superbowl commercials that car companies ran in 2018. They’re not talking about features, or even prices really. They’re talking about the soul of their brand, and convincing thousands of Americans that their next car should be a __________. Local car dealerships also spend a lot of money on TV commercials. But their message is much different. Check out this example of a commercial from Charles Maund Toyota, a local dealership in Austin, Texas. The above example is typical of local car dealership commercials. It’s what marketers would call “bottom-of-the-funnel”. We’re talking prices, financing options, details. From a marketer’s perspective, it checks all the boxes. Unlike the Superbowl commercials, they are trying to get people to come to the dealership and actually buy a car. They even give the address of the dealership at the end. But when’s the last time you wrote down an address from a TV commercial? Does anyone do that anymore? And that my friends, is exactly the point I’m trying to make. I’m sure all these ads work for brands and dealerships. I’m sure they still get a solid return on ad spend. But they could be doing better. As more and more people “cut the cord” – the automotive industry is increasingly behind the curve. TV ads are overpriced and not highly targeted. 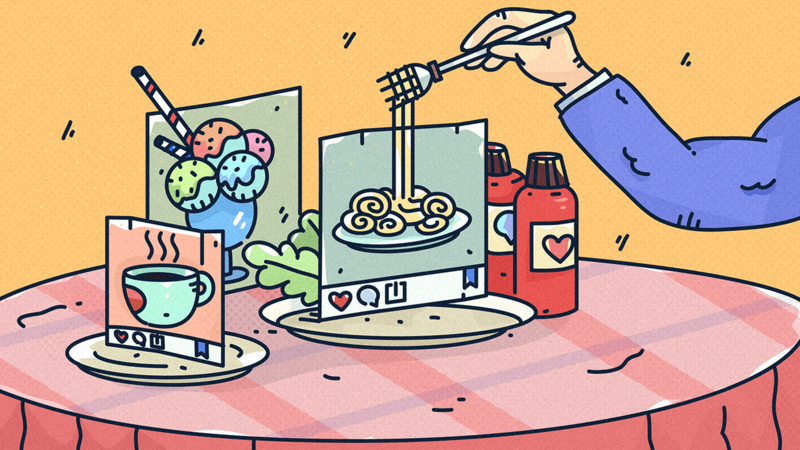 Digital advertising – especially Facebook – and double especially Instagram is where it’s at. 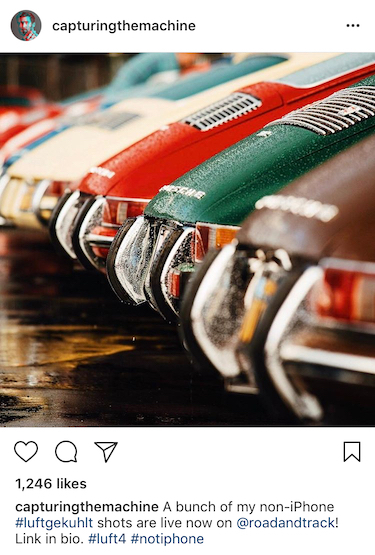 If I was starting a car dealership I would triple down on Instagram as a marketing channel. My sales team would live in the DMs. People freaking LOVE cars on Instagram. That’s where the underpriced attention is. So if you’re a marketer with car dealership clients. Or if you’re a dealership owner. Or if you work in sales or marketing at a dealership. To recap: TV commercials are still lucrative for auto brands (as much as 56% of millennials are likely to become aware of a car dealership in their area thanks to TV). But social media marketing is largely ignored, and definitely underpriced. According to Bain & Company, nearly half of all car sales start online – that’s not surprising, considering how many cord-cutters are out there, and how often people use digital media for news, entertainment and shopping. 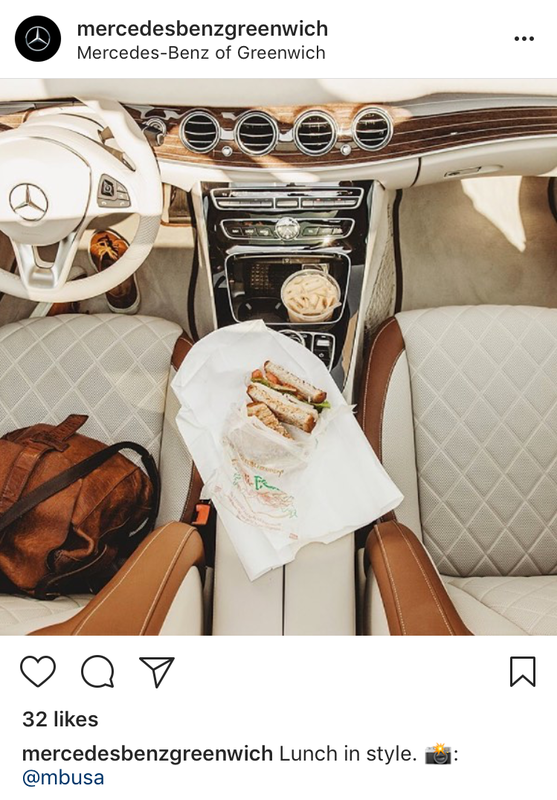 Today, Instagram has completely reimagined the auto advertising and shopping experience for both luxury car buyers and traditional consumers. 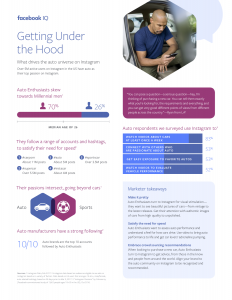 More than 5 million active users in the U.S. have said their top Instagram passion is auto. How can I sell more cars on social media? Can I do this, even if I don’t know a darn thing about Instagram? Can we really build lasting relationships with customers…online? Do people really make buying decisions on their phones? 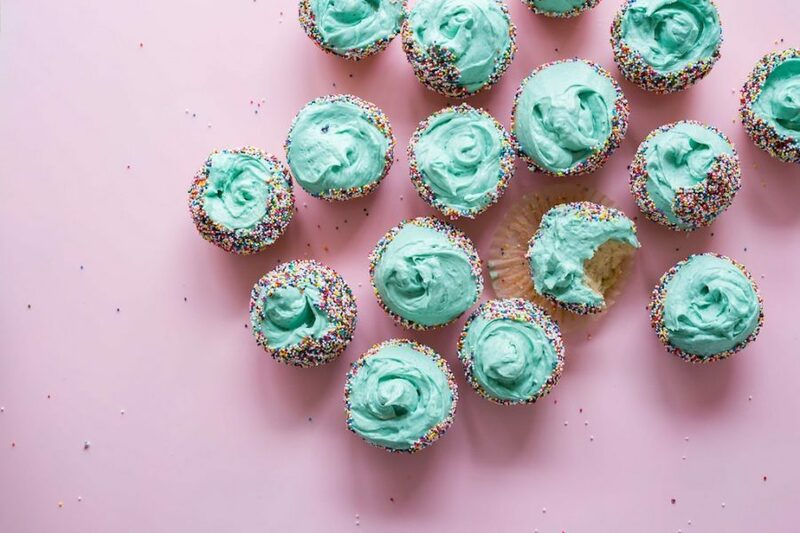 How can we crush the competition on Instagram? Is the Instagram juice really worth the squeeze? In this article, we’re going to help you answer those questions. We’ll also share advertising and marketing strategies from real dealerships and explain the different types of drivers who will walk through your doors. Moreover, we’re going to give you a few examples from major car brands that we feel you can reproduce in a customized way for your own social media. Here’s the beauty of having a car-centric profile on Instagram: people want to dive in and indulge their passion. They want to know more; they’re constantly seeking inspiration. Your content, messaging and storytelling can help those people – your core audience – immerse themselves in their passion. 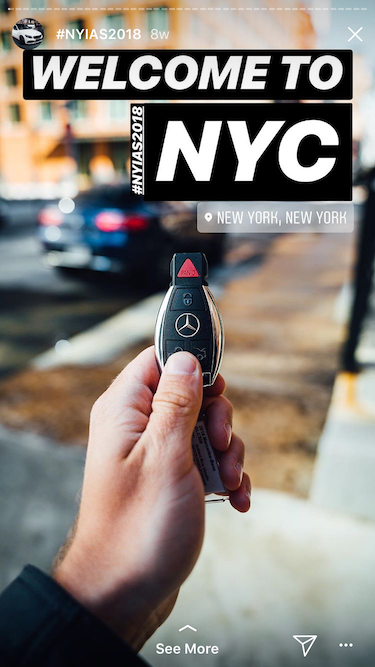 According to Enrico Hanisch, digital strategist and content creator for Audi, “Instagram is the natural and ideal platform for automotive content in our day.” Instagram’s highly visual nature means that people and dealerships can connect in an aesthetically-stunning or interesting way. Nataneal Sijanta, their Director of Global Marketing Communications, says, “On Instagram, we reach millions of younger viewers, which is very important to us. These digital natives will be our future customers…” Mercedes-Benz creates content to give audience members, especially young ones, a positive association with the brand, which they feel will eventually influence them to purchase one of their cars in the future. Skilled marketers know how important it is to research their audience, and they align their specific dealership with a target community. This makes the dealership more recognizable and memorable and encourages customers to visit the showroom and recommend your services. 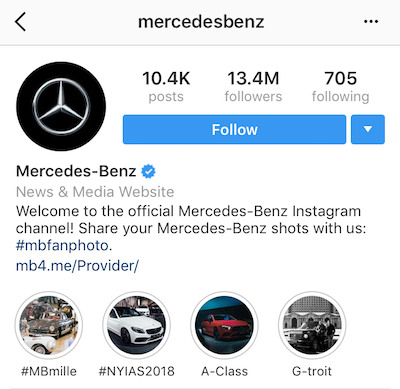 Dealerships are using all of Instagram, too: the regular feed, Stories, and live streams. This lets them reach different segments of their audience in the right way. You can have your posts show up in the feeds of their followers, either organically or through promotions. Videos taken during a road trip show potential buyers the type of lifestyle that awaits them. Live streaming from local dealerships can promote a flash sale. 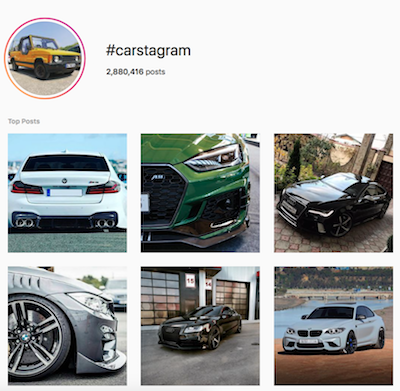 Here are a few different ways that your audience may be using Instagram to connect with the local car community, which can help you tune in to the interests of potential customers. There’s an entire sub-genre of adventurous car enthusiasts with examples of how their vehicles handle extreme situations. 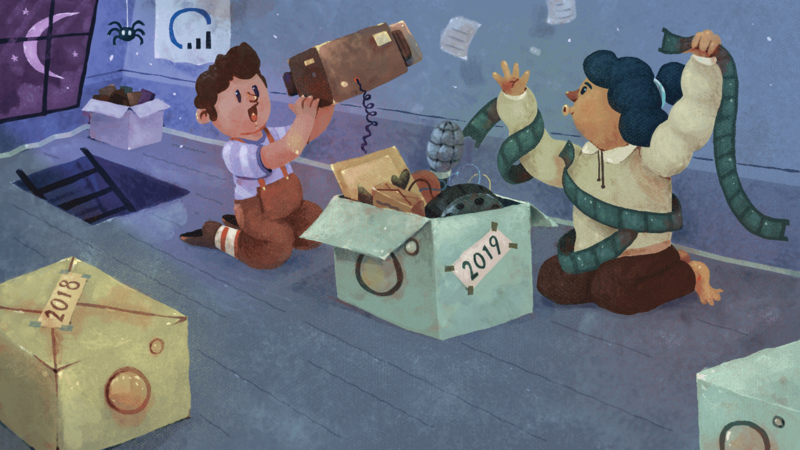 There’s usually a focus on exploration and nature. 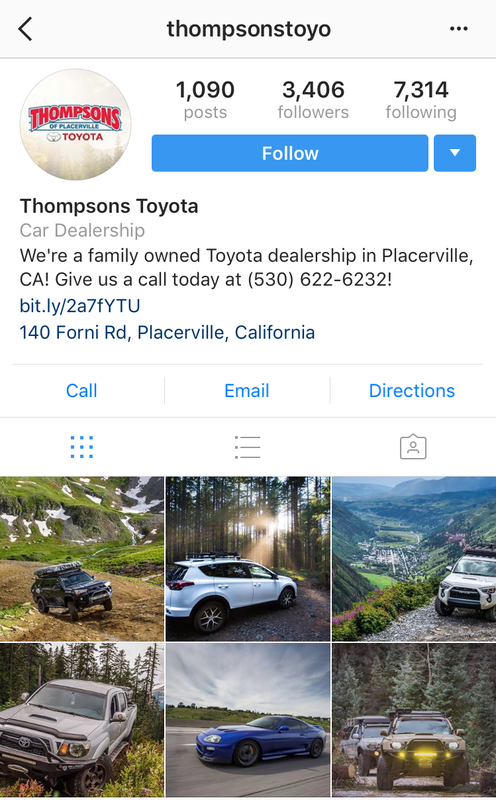 Thompson’s Toyota often shares photos from Toyota drivers and adventurers who explore areas in and around California. There’s no other time that you grow as close to your vehicle as during a road trip. Look for user photos with landscape views, either from their car or with their vehicle in the frame. Also, pay attention to how they talk about how their car is making the trip a more comfortable one. Car shows are a mecca for auto enthusiasts, and you’ll find posts from attendees as well as participating car owners. 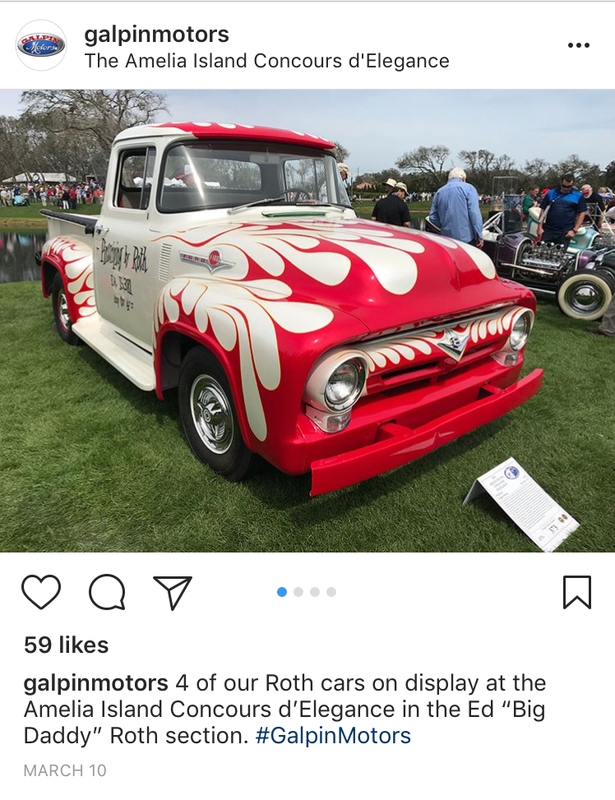 Galpin Motors gets in on the action by bringing their own cars and posting about it on Instagram. This is an excellent way to connect in-the-moment with people who are at the car show (and browsing local posts on Instagram) and encourage them to stop by for a chat. Fifty-two percent of users watch videos to assess car performance and to get an idea of how the car will drive. Auto dealerships can use videos of their specific cars or the type of cars they sell to satisfy these questions while also stoking the customer’s love for speed and getting their adrenaline racing. Make sure you’re answering questions that your specific customers have asked to truly target your posts. Instagram users look for advice from other car owners and experts in the area. While dealerships can talk about performance and specs, customers want social proof from real drivers, too. 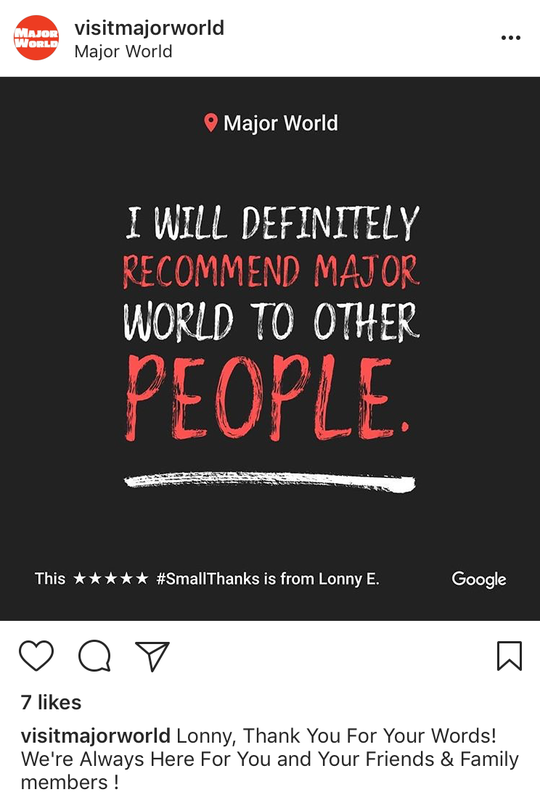 Major World shares posts with quotes and ratings from real customers. We love this, and we think you could do it even better by tagging the customer in the post (with their permission, of course). Porsche takes a similar approach. 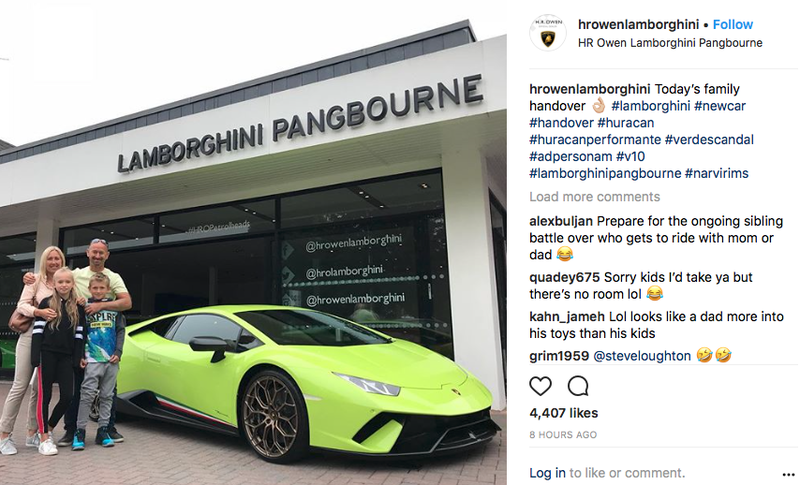 Instead of focusing on specs or showcasing how fast their cars can go, they focus their Instagram marketing on stories from real people. 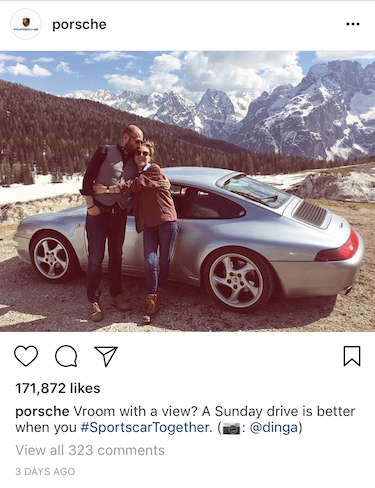 They want their audience to feel what it’s like to own a Porsche, day in and day out. City driving is its own animal, especially in a place as crowded as Manhattan or Los Angeles. Instagram users share their stuck-in-traffic woes, come up with hacks for dealing with gridlock and show their favorite spots to visit. Car dealerships can attract local customers by getting in on the conversation like Audi did with this post. 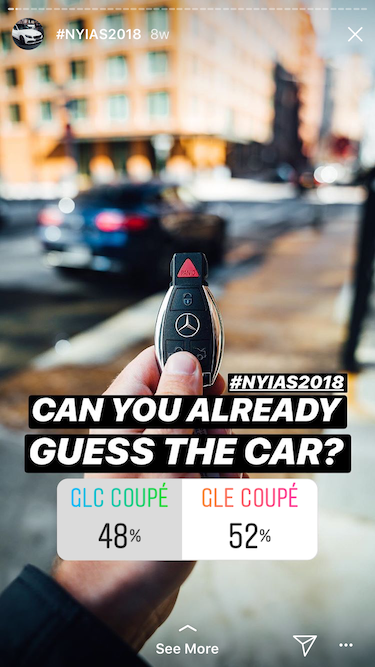 Mercedes-Benz in the U.S. engaged their New York City audience via Stories by using location-based hashtags and geotags and asking for participation in a poll. Volvo created an ingenious virtual test drive, called Thumb Drive, to promote their XC60. People could take the car for a drive through major markets, like New York City and San Francisco. See the ad. Buying a car is a major expense, and often an exciting one. 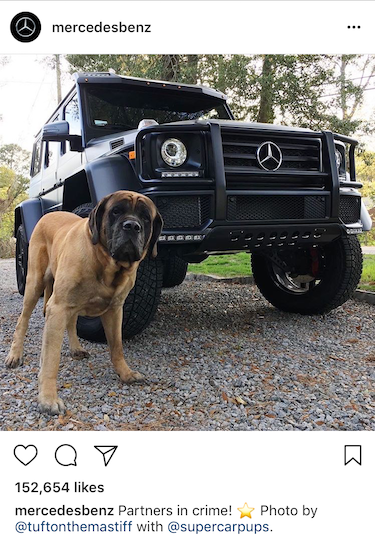 New car owners tend to show off their purchase on Instagram and share their day-to-day experience of living with their new car. 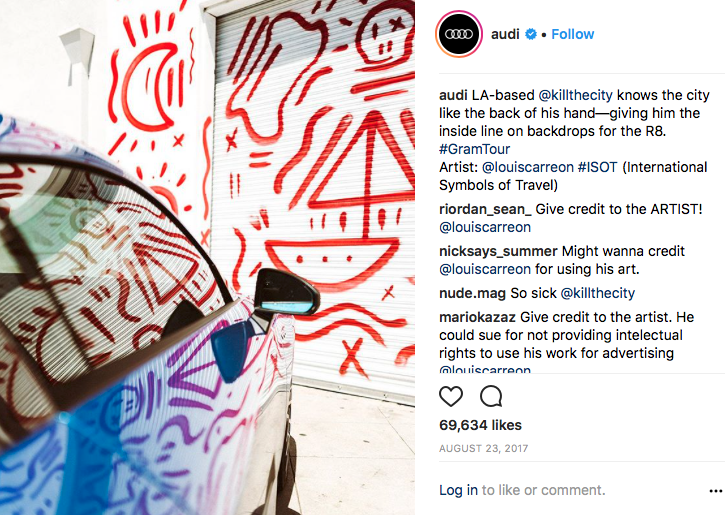 Forty-one percent of Instagram users share a photo of the car they just purchased, and you can ask customers while they’re still at your dealership if they would like to pose for a photo that will be featured on your account. Enthusiasts simply love looking at pictures of cars, from concept and vintage cars to the latest releases on the market. Those pictures don’t all have to be beautifully polished and perfectly edited, either – real photos from customers, even if they’re slightly lower quality or of less-than-perfect vehicles, are also popular. 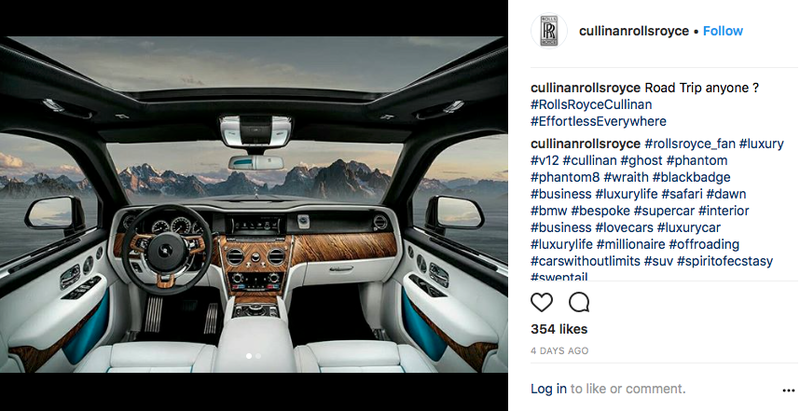 Luxury car dealerships smartly use Instagram in order to let people access what they’ve always believed is inaccessible. Luxury vehicles can be both aspirational and, ultimately, attainable. The fact that the car is still inaccessible to most other people is what makes it all the more intriguing. Mercedes-Benz UK created a Stories campaign to show how enjoyable it is to drive an open-top C-Class Cabriolet. They accomplished this by showing video, often in split-screen format, of a thrilling, aspirational driving experience. See the ad. 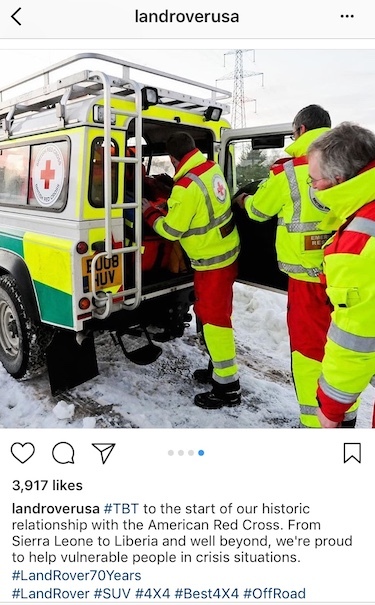 Land Rover posted a series of photos in their regular Instagram feed to show their relationship with the American Red Cross and how their vehicles have been used to help people in crisis. 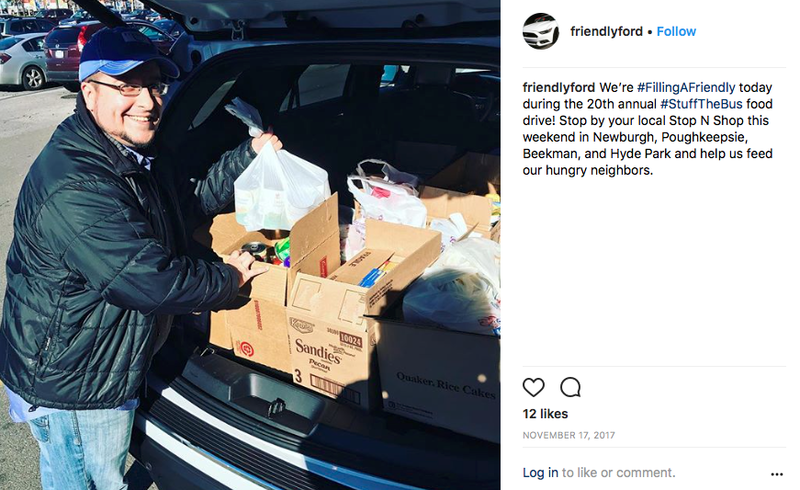 Friendly Ford did this on a more local scale by packing one of their cars with items for families in need right before Thanksgiving. They created branded hashtags for the event and told local residents where they could help out. 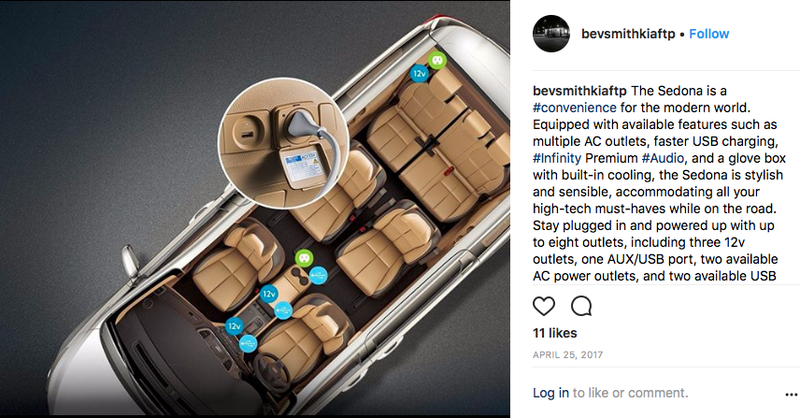 Some car companies also have their own branded hashtags, often as a way to get the community involved and to source curated content. Mercedes-Benz has #mbfanphoto promoted in their bio, while Porsche shares images that are tagged with #PorscheMoment. 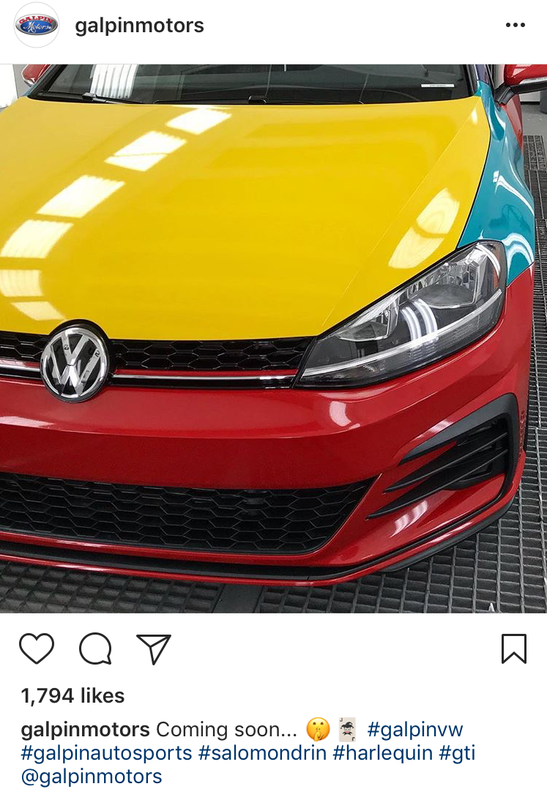 Do you follow any local car dealerships on Instagram? Which ones? Check out our client story of how we here at Jumper Media helped @peninsula_gm reach a whole new audience of car buyers.